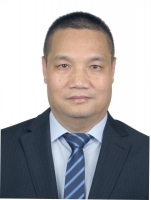 Mr. Yang Guobing, Chaiman and Managing Director of CSSC Cruise Technology Development Co., Ltd. (CCTD) which is a full subsidiary of CSSC, the largest shipbuilding group in China. CCTD is the investor of a joint venture with Carnival Corporation which is to own and operate the largest cruise fleet in China in the next ten years. CCTD also has a joint venture with Fincantieri S.p.A, which is to design and build the first large cruise in China. Mr. Yang has thirty years of experience in the shipbuilding industry covering different vessel types and marine equipment and systems. He has a Ph.D of Naval Architect from Harbin Engineering University and MBA from Peking University.